One of the most frequently asked questions I get from non-degenerates is, “You can bet on the WWE?!? !” The answer is always an emphatic Daniel Bryan-like YES! YES! YES! When you make a mention over the dinner table with family that you have a Carmella-Miz parlay, it tends to turn heads. I have been watching pro wrestling since the early 1980s, when NWA wrestling and Atlanta Braves baseball were a Saturday showcase on the Superstation WTBS. I was always more entertained by the athleticism of Bret Hart, Mr. Perfect, and Ric Flair than I was over cartoon characters like Kamala, Yokozuna, and the Ding Dongs. When gambling on such lunacy, its important to remember that there is a script and timing is everything. I run through my DVR of RAW and Smackdown shows each month to keep up, as the WWE frequently likes to build storylines prefacing a swerve. There are certain pay-per-views that are built for faces (good guys) like Wrestlemania, others that are space fillers that can have a ton of disqualification and count-outs (Backlash), and some that have large pools of wrestlers trying to win a single event (Royal Rumble, Money in the Bank). Wagering on WWE is simply about anticipating the script and grabbing the right wrestler at the right time. Limits are low, and lines move at an insane pace. A $50 bet could send a +500 underdog to +150. And if that underdog was indeed scripted to win, he/she would close at -9999. Notes: The Men’s Elimination Chamber may be larger than usual, with seven entrants instead of the standard six, but the script for the future remains the same. Since Brock Lesnar’s contract comes to an end post-Wrestlemania, dropping the title to Roman Reigns has been the plan for nearly a year. If you like burning money, bet on The Miz (first entrant) and Elias (first Main Event), both of whom have no shot to win (and then headline Wrestlemania). John Cena has long been rumored to face the Undertaker at Wrestlemania, and recent social media posts of the deadman doing squats has the dirt sheets buzzing. While Finn Balor should make his way back into the Universal Title picture later this year, his path seems set with the Miz in the near future. Most Finn Balor WWE tweets over the last few weeks center around Miz, setting up an Intercontinental Title match at Wrestlemania. This leaves Seth Rollins and Braun Strowman as the wild cards for the match, potentially offering value at a huge number. It’s not crazy to think the Wrestlemania Main Event could be a Fatal Four way. Strowman is possibly the most popular with the live crowds, but may not be polished enough for the WWE brass. There have been plenty of hints dropped in recent Rollins interviews and social media promo’s that he is out to beat Brock Lesnar. And who can forget what happened at Wrestlemania 31? The Gauntlet match on Raw this past week was a huge push for Rollins getting a chance at the Universal Title. Remember these lines move ultra-quick. On Sunday, I will look for Roman Reigns at -200 or better. I will also monitor Rollins and Strowman for a big longshot payday. Notes: Congratulations to the women of WWE for having a Ladder Match, Hell in a Cell, and a very entertaining Royal Rumble. 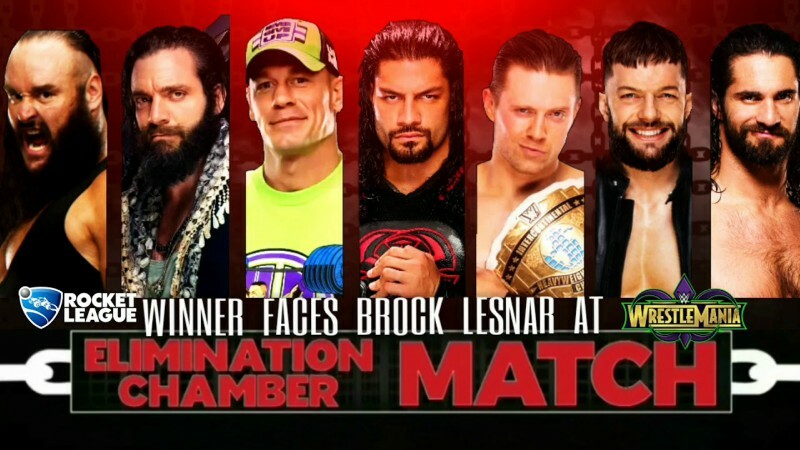 This Elimination Chamber is another breakthrough for a division that has beaten the men on many pay-per-views. Half of the competitors should be eliminated from consideration, including Mandy Rose, Mickie James, and Sonya Deville. As much talent as those ladies have, they don’t have the name value to headline a title match at Wrestlemania. The big storyline of late is Sasha Banks’ impending heel (bad guy) turn against her “best friend” Bayley. Since the start of 2018, Banks has had extra attitude with her Boss persona, which has affected her social relationships with the other women. This is the perfect opportunity for a heel turn. Whether she actually defeats the current champ, Alexa Bliss, remains to be seen. Regardless, I see value in backing Banks, preferably at +200 or better. I will also look for Bliss at +200 or better Sunday. Banks’ pin of Bliss on Monday Night Raw was the proper preview of the two ladies that will end this match. Need a bold prediction? Since this event is being held in Vegas, why not gamble in this prime spot for Carmella to run in and cash her Money in the Bank briefcase, wrapping up a spot at Wrestlemania? There is increasing speculation that Asuka will announce her match with Charlotte, leaving a Money in the Bank cash on the Smackdown side highly unlikely. If any books flash a prop for Carmella, scoop it up. Notes: Looking for our possible sham outright dog winner of the night? Skip the guac at Chipotle and use that money for a little Nia Jax wager. 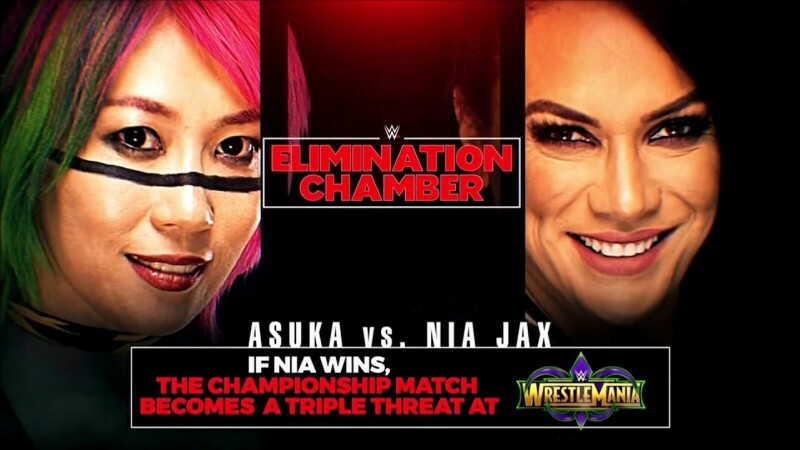 Since Asuka already has her Wrestlemania championship match in hand, the WWE doesn’t have much incentive to script a victory for her here. Asuka’s promo video will remind you that she is undefeated, boasting some 240-0 record during her 2.5 years within NXT and WWE. There is a key term in that promo that did not escape my ears… “Has not been pinned, has not been submitted”. This is a golden opportunity during the WWE calendar year to expect a sham finish (no pin or submit). Nia Jax surely won’t pin or submit Asuka, but she needs a role in the Wrestlemania title picture. That can get done with a count-out or disqualification victory. Asuka decimating opponents does nothing positive for the overall health of the women’s division in WWE. Take the big number on Nia and enjoy some WWE shenanigans with your guac-less burrito.